Archive by category "MYOB ERP Solutions"
If you run a small business with 20 or more staff, you should be preparing for the Single Touch Payroll initiative. From 1st July 2018, the Australian Taxation Office’s Single Touch Payroll (STP) rollover begins. The new system, which changes the way employers report to the ATO, will require small business owners with 20 or more staff to upgrade or replace current payroll systems. Single Touch Payroll is ATO’s latest compliance regulation. It offers a more streamlined reporting system, which enables you to track costs and analyse trends. All employee tax, super, wage and PAYG withholding information will be reported to the ATO through the new software. This will be a significant change from the current system, which is lodged through paper or manual submissions. To be eligible for the transition, your small business must have more than 20 staff (headcount, not full-time equivalent) as of 1st April 2018. Once the new system is fully rolled over in 2019, the information you report on over the next financial year will be pre-filled into future activity statements. This data will also be pre-filled into myTax, resulting in an easier process for anyone who prepares their own returns. Businesses will have real-time access to payments to allow for a smoother and more efficient reporting processes. No need for payment summaries: STP makes all information easily accessible online via myGov, eliminating the need for pay summaries to be generated and distributed to staff. No double handling or potential errors: ATO will pre-fill fields W1 & W2 in your BAS, eliminating the headaches of double handling. Streamlined reporting: Payroll is combined with your pay run process, offering valuable time savings come the new financial year. STP includes up to 50 management and accounting reports. These reports can be exported to compatible accounting systems. Automatic reporting: Accumulated leave is worked out automatically and payments are handled in accordance with legislation. New employees have access to quicker online commencement forms, including Tax File Number declaration. As a result, compliance efficiencies will increase. Interactive: STP links with electronic banking and tax office so all numbers add up. Efficient tax returns: All payroll information is pre-filled into your tax return and you won’t have to wait for a payment summary to complete. Real-time access: Easily view your superannuation, income and tax via myGov. Electronic commencement forms: Having quick and easy access to all online forms makes starting a new job easier. On April 1st, 2018 the ATO warned small business owners to do a headcount of staff to determine whether the new systems applied. For small businesses with 19 staff or less, switching over to the Single Touch Payroll system is voluntary. However, the transition is scheduled for 1st July 2019 which is subject to the passage of legislation in Federal Parliament. Check with your accounting software provider whether your current payroll systems will support the changes. Make sure payroll staff are advised about the changes. Review old payroll systems and update employee information before 1st Check you’re paying staff correctly including super entitlements. If you need more time or your software provider isn’t ready, contact the ATO today to apply for a deferral. Free STP checklists can be downloaded from the ATO website. Horizon Business Systems is Perth’s leading business accounting software solution provider. We pride ourselves on our tailored customisation of products to suit all business requirements, with superior ongoing support for our clients. Contact us today for more information. Purchasing an ERP software solution, to streamline your Not for Profit organisation, is a crucial business decision. It offers a tangible return on investment, with time saved and increased accuracy within your business. For Not for Profit organisations an effective and accountable management system is essential – influencing everything from public confidence in your organisation; to being able to easily manage the requirements for accurate reporting for tax reporting and/or funding with small teams of administrative staff; to managing multiple locations or varied service offerings. With the NDIS system expanding, your NFP team are supported in streamlining current processes to ensure compliance, with an end to end business management solution, such as MYOB Advanced, to focus on the important work that you are doing, rather than just on your finances. Having access to precise, thorough reporting will not only save time, but also allow you to plan ahead to grow your organisation. Having better insight into your business processes, will ultimately save you time, money and headaches going forward. Smaller systems often don’t manage purchasing well and have no approval processes which is often needed in Not for Profit. MYOB Advanced allows Management to approve purchase orders prior to committing to the spend against budgets in order to better manage costs. Not for Profits can need to manage projects with time and cost tracking which can run over many years and that smaller systems (with limitations to one financial year) cannot manage. We want your ERP solution to grow with you. MYOB Advanced offers a fully scalable platform, meaning it’s easy to add features that you don’t need now but may do in the future when your organisation or its service offerings expands. Not for Profits often have a dispersed workforce, perhaps with varied shifts and work hours, week to week or multiple locations. Managing payroll for staff can be quite labour intensive and inaccurate. Having a streamlined software solution, can take the pain out of this process, while ensuring accurate payroll processes. Not for Profits have a heightened need to report accurately and transparently to the Tax Office and other stakeholders. The MYOB Advanced ERP system allows you to do just that with efficient reporting and customisable templates making it easy to manage your books and report effectively. Horizon and MYOB Advanced allows your company to build their own Chart of Accounts, cost centres, sub accounts and branches and gives flexibility in reporting for different stakeholders. Often integration to Government agencies, such as NDIA, is a requirement and, with MYOB Advanced, we can automate these transactions so time is not wasted with keying in or preparing lengthy spreadsheets to upload. Moving your business to the cloud is not a matter of if, but when. This technology removes the need for expensive servers and allows your staff access to real time information, from anywhere with an internet connection. You can also “Mobile enable” your workforce, giving access to information via their smart phones. MYOB has an extensive history as an innovator and market leader in management software solutions and Cloud technology. The right ERP software can be customised to suit the unique needs of your organisation. Each organisation is different, and you need the flexibility to add in features that suit your unique requirements. Horizon Business Systems have worked with hundreds of businesses, including many Not for Profit organisations, and we take the time to understand your business needs and aims. Ongoing training and support is important to ensure a smooth transition and adoption by all staff. It’s important to have a local provider who is there not only for the initial set up, but also for any ongoing training and support you require. Horizon Business Systems are a locally based Perth business and have provided consultancy, implementation, ongoing support and professional service partnership for over a decade. Horizon are ERP business system experts and have provided a software management solutions for many West Australian based Not for Profit organisations. Contact us today, to see how Horizon can help your Not for Profit achieve it’s business aims into the future. Business benchmarking offers detailed insights into where improvements can be made within your company to increase profits. While you may do your usual month-to-month financial reporting, business benchmarking goes more in-depth. It provides you with a means to compare your business to competitors in the industry and offers an effective way to see exactly how you’re performing and lift your potential. This tool is ideal for small to medium businesses predominately, but something every company can – and should – benefit from. To evaluate opportunities for improvement, you need access to all the information. From here, a plan can be developed to help achieve your business goals and push the company ahead of its competitors. Through detailed insights customer’s needs are identified, the company’s strengths and weaknesses are highlighted and performance expectations can be prioritised for specific areas of opportunity. This boosts your business by encouraging and meeting set goals and allows you to understand your competitors better. Without this knowledge, how can you become more competitive and effectively manage change? Business benchmarking and Enterprise Resource Planning (ERP) work together to collect the information and help report your growth data. Benchmarking is paramount to understanding your industry and customer’s needs to create niche goals for your industry. These strategies become better established through the adoption of systems like ERP, which allow you to utilise process management software to manage the business and automate data relating to human resources, technology and services. Without a process management software like ERP, effective management to boost your business’ performance is hard. Business benchmarking involves a variety of tools, software applications and indexes to collect relevant data and provide reports to give you the information you need to work with to grow. To benchmark your business through ERP, you need access to these detailed reports. But exactly what information should you be looking at? What You’re Benchmarking: Be specific! Client satisfaction is the most common driver for small businesses. Review your business goals and focus on something special and targeted for your niche. Your Competitors: Who are you benchmarking against? Define your competitors and work out what they’re doing differently to you that’s working for them. Consider both current and future competitors and how they’re operating within your industry. Review Objectives and Trends: What strategies are your competitors using that give them a competitive edge? Leverage benchmarking tools and the date compiled from ERP to put together a competitive analysis, see what direction your industry is heading in and how to keep your business aligned with the latest trends and customer needs. Look at the Efficiency of Your Business: Benchmarking and ERP will give you a good indication of how streamlined your processes are. Review whether they’re bringing in new leads and converting to sales and what gaps there are here. Make sure your business is moving forward with the latest trends rather than being stuck in old habits and getting left behind. Expenses and Sales: Benchmarking helps to determine whether you’re spending too much on rent, inventory costs and employee income. By using tools like ERP to collect data, you’ll be able to make some cut backs. Develop an Actionable Plan: Benchmarking and ERP are useless if you don’t devise a plan to put the work into action! Use your research and data to create a tactical plan for your objectives. Define actionable, realistic steps with timeframes and specific tasks to make it happen. Track the progress of each goal on a weekly basis to ensure you’re meeting set milestones. Benchmarking is the ultimate way to understand where your business can make improvements. Once the above essentials have been implemented, it’s important to continuously monitor the results. Through this, you’ll gain a better understanding of your business, competitors and the industry. Business benchmarking and software management tools like ERP will ensure your finger is on the pulse when it comes to industry trends and internal and external data. For more information about how Horizon Business can offer tools for your benchmarking, contact us today. As a business owner or manager, you are often faced with making important decisions under time and budget pressures. This can be made even more difficult – and the consequences far more dire – if you do not have access to accurate and timely information to help guide your judgements. However, as your business grows, you may face anxiety from ‘guesstimating’ in decision-making if a big picture view of crucial factors that can impact your organisation’s performance is not readily available. It comes as no surprise that better insights lead to better business decisions. The challenge can be in finding a flexible, fully integrated system that can deliver critical information when you need it. MYOB EXO software can help take your decision making and business process management to the next level. MYOB EXO Business Software offers a highly customisable ERP that is customisable, responsive and can integrate with industry specific tools. As a proven management tool for medium to large enterprise, MYOB EXO has been successfully deployed across a wide range of industries – from manufacturing and retail to mining and a range of service based industries. Use of business process management software can mitigate substantial risk in planning and decision making. Once you have an efficient system in place, you are better placed to focus on making the most of your business opportunities and in implementing data-backed decisions that impact your bottom line. Whether your business is experiencing rapid growth or running disparate systems that run the risk of double-handling, MYOB EXO can help you make better business decisions and give you greater control over your operations. You want to standardise your business processes, reporting and data capture procedures. MYOB EXO enables you to implement uniform procedures across your organisation and ensure that business rules are followed. Vital business data is often locked away in ‘silos’ and inaccessible to the people who need it. MYOB EXO helps you leverage your database resources to the maximum extent possible giving those that need information access to it instantly. The cost of doing business is becoming more expensive and you need to boost productivity whilst keeping a lid on costs. MYOB EXO can help your team to work faster and more effectively. Horizon Business Systems have been helping businesses make better decisions and manage business performance with MYOB enterprise solutions for over a decade. Contact us today to find out how we can help your business achieve. The basic principle behind job costing is to determine all of the necessary components of a particular job and how much each of those components costs. These can include parts and materials, shipping and transportation, worker wages, and even overheads to name just a few. 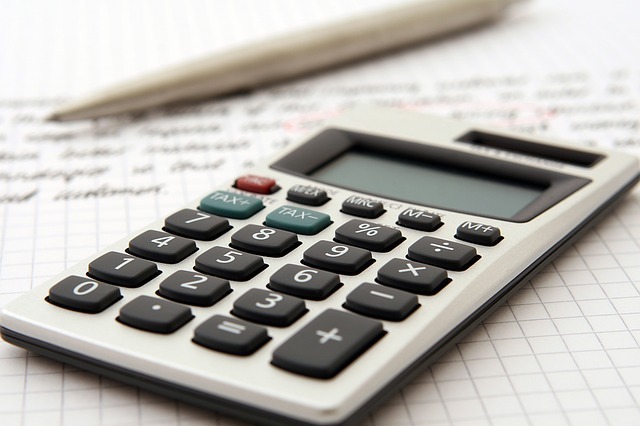 The specific components you will use in your job costing calculations will depend on the products or services your company offers and what is necessary to produce them. Using your integrated business management software (like MYOB Exo) is a key component in getting a handle on the costs involved in each job. Your accounting software will give you a breakdown of your daily overhead costs and your parts invoices, your payroll function will give you an idea of the wage costs, and even your time entry system can give you a better idea whether staff are over-servicing on certain jobs or product production so you can adjust your costs accordingly. Once you have a general sense of how much each component costs, you can calculate how much the job will cost as a whole. By combining all of the included costs into one figure, you can determine an appropriate price for your products and services to generate income for your business. A job costing module that integrates with all of these modules can pull in the necessary elements and do the calculations for you. If you are unaware of the actual costs of producing your company’s goods and services, you run the risk of undervaluing them, thus hindering your business’s ability to turn a profit. If you go too far in the other direction and overprice your offerings, your customers may leave for your competitors who offer fairer prices in relation to the value of the work. Particularly if you are in a service-related business, you may offer your clients price quotes before you begin the work, so you’ll want your quotes to be as accurate as possible. If you quote too high, you could lose the job to another service provider with lower rates. On the other hand, if your quote is too low, you run the risk of upsetting your customers when the project goes over budget. Job costing will help you find the balance between the two, giving you the most accurate estimates possible. Aside from benefiting your customers with fair pricing, job costing also has a host of benefits for your business itself. Your preliminary job cost estimates will give you a benchmark against which to compare your actual costs. For example, you may notice that it took your team longer to complete a job than you had originally anticipated, resulting in higher wage costs for the job. This could alert you to potential productivity issues among your team or could be a sign that you are underestimating the amount of work involved. Either way, you’ll be able to adjust your prices accordingly. Frequent monitoring of your costs will enable your business to stay on top of changes in the marketplace with regards to the price of materials. Even small changes could have major impacts on your costs. If left unchecked for long periods of time, these rising costs could eventually put your company out of business if your prices do not rise accordingly. Calculating job costs by hand is time-consuming and increases the risk of error. It is also extremely difficult to track trends and changes over time. With business management software, like the EXO Job Costing Module from Horizon Business Systems, you’ll have all the data you need right at your fingertips. You’ll be able to print out detailed estimates for your clients, showing all of the information they need to make an educated decision about employing your services. Finally, staying on top of your job costing gives your business the greatest chance of succeeding financially through careful monitoring and adaptation. To find out how our business management software can give you the power to create more accurate jobs costings, just get in touch with our team today!